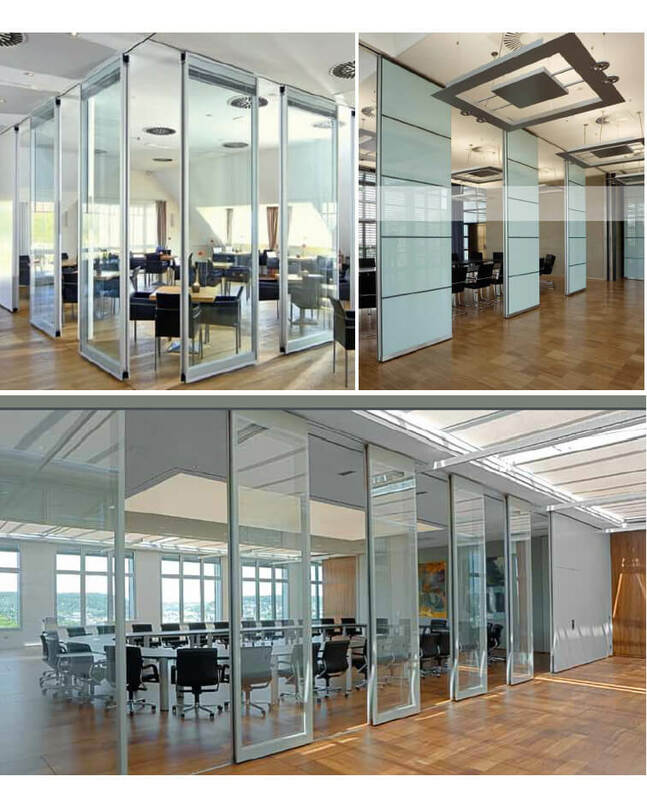 Glass partition wall is ideal for any application where total vision is required. 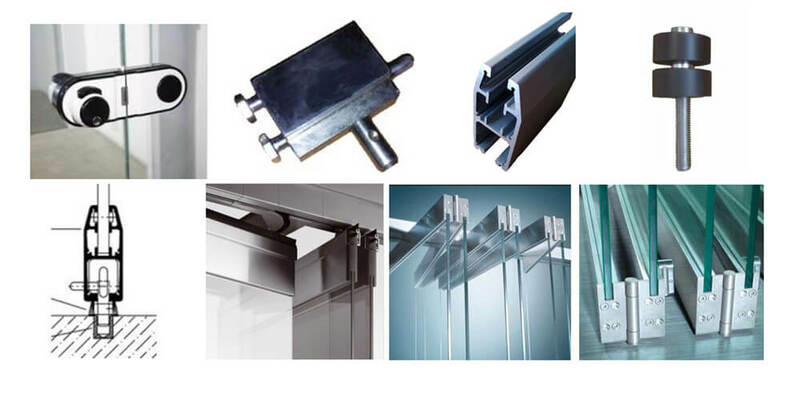 Whether the purpose is to link or seperate, add security, Glass wall systems provide noise or thermal insulation, or remove barriers. 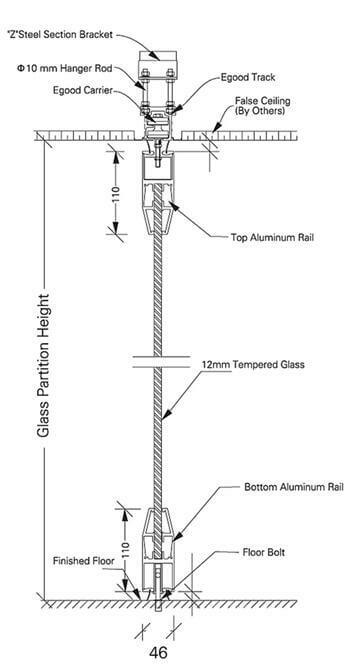 Glass partition walls are available in a variety of configurations to meet your design requirements. 2.With an odd number of panels stacking to one side, a single acting frameless glass doors is possible versatile functions with swing enter/exit panel(s) options and with flexibility to fully or partially open. 3.Ease of operation to quickly open or close wide openings. No auxiliary track support is needed as all structural loads are within the plane of the opening. 4.Both top supported and floor mounted systems are available.A multitude of stacking configurations, as well as inward or outward opening options, is available. Variations include paired panels and center pivot options. 12mm tempered glass with top and bottom aluminium frame. For the convenience of installation, we will provide detailed drawing and photos for guidance. We can also supply site installation which will be charged. The glass will be packed in strong totally enclosed wooden crates, no glass can be seen. Stair stringers also will be protected in wooden crates. Cartons are used to pack steel parts. Some long tubes or rods are wrapped by woven bags.